Signed l.l. corner, brown oil "Meldrum". Not dated. Basil Burdett., Art in Australia [series 3, no. 66] , 'The Archibald Competition', Sydney, Feb 1937, 31 (illus.). Art in Australia [series 3, no. 70] , Sydney, Mar 1938, 63 (illus.). S.A. Parker Framing Works , 'Works in the collection with known Parker frames', pg. 27-68, Sydney, 2004, 51 (illus.). 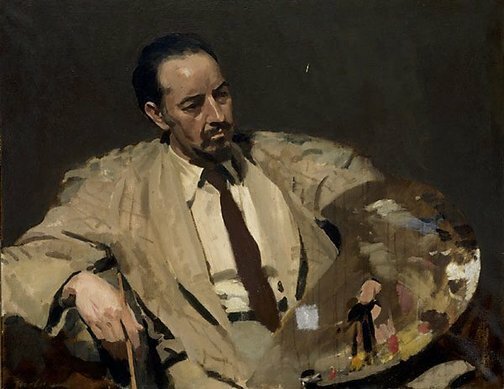 Max Meldrum and associates: their art, lives and influences , 'Disputes, trusteeship of National Gallery of Victoria and Science of Appearances', pg. 39-42, Victoria, 1996, 39 (illus. ), 129.